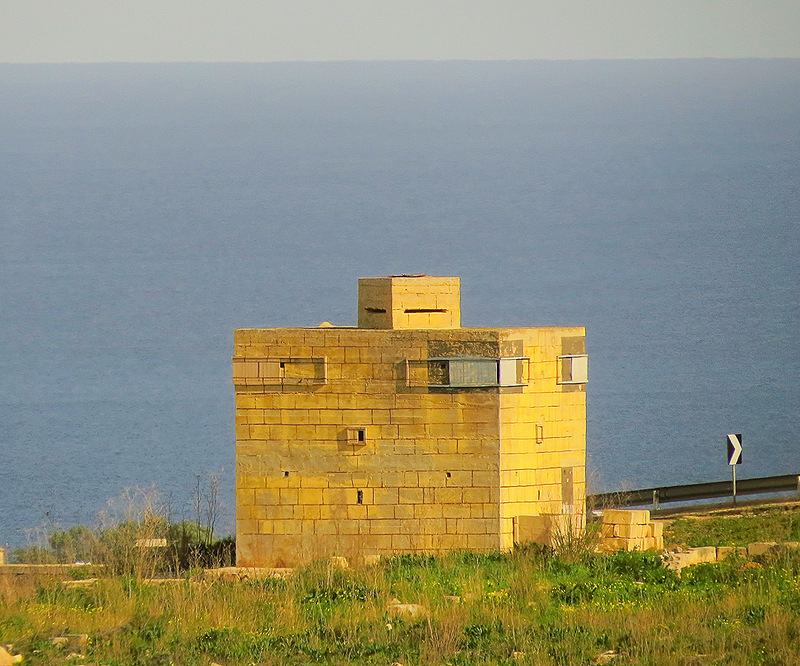 Restored Pillbox at Naxxar. Restored by Fondazzjoni Wirt Artna. In the years leading up to World War II the British sought to further fortify Malta. 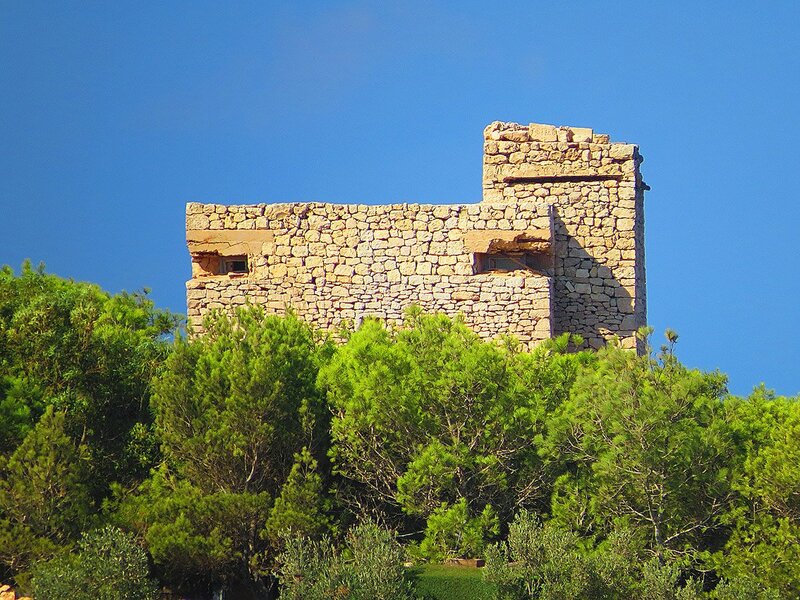 Defensive strategies at the time favoured the use of small pillboxes and field defences rather than the more elaborate fort building of previous eras. The Abyssinian Crisis of 1935 and the muscle-flexing of fascist Italy triggered the first bout of these constructions while more were built from 1938 to 1940 when the threat of invasion became even more pronounced. 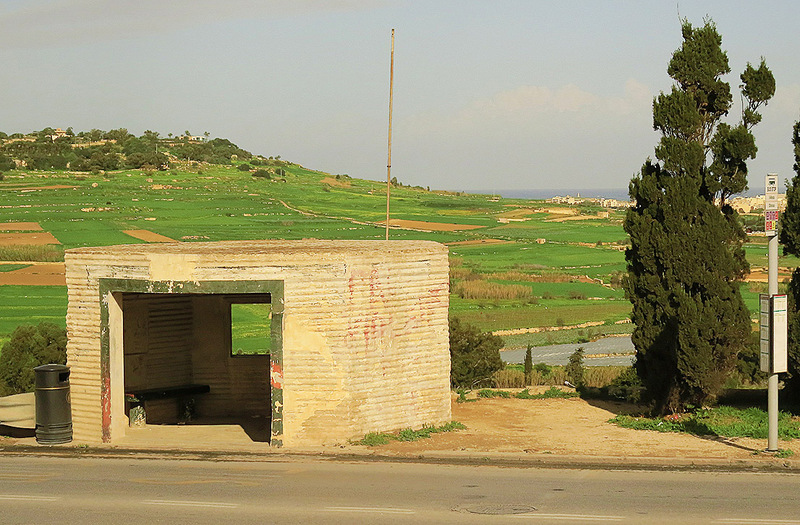 Stone-clad pillbox given the rustic look at Mellieha. Pillboxes are basically machine gun emplacements mostly constructed of concrete. Some, especially those in the countryside, were disguised as farm rooms by being given a cladding in local stone, others were painted in patterns echoing their surroundings, while with others there is little attempt at camouflage. They are spread across the island, especially on high ground, and there is a heavy concentration around Mellieha – where the threat of a seaborne invasion from the shallow waters of Ghadira bay was seen as a real likelihood. After the war there was hardly any use for these constructions and the process of turning swords into ploughshares was started. Many remained in an abandoned state – little more than a historical footnote. A few of them were restored – the fine looking one at San Pawl tat-Targa outside Naxxar was restored by Fondazzjoni Wirt Artna while another at Majjistral Park is being restored to serve as a shelter if one is caught there in inclement weather. For others a more mundane purpose was found, with several of them being turned into useful tool storage rooms by farmers. More creative in its use is one in Valletta overlooking St. Elmo Bay. This has been turned into a snack bar appropriately called The Gunpost – inside one can find a good collection of war memorabilia including wartime helmets, masks, bullet shells and photographs. I have seen some of the old pillar boxes which have been converted into tool sheds, quite the sight when you think what purpose they use to fill. I would recommended that anyone who gets the chance to go see them.